I’ve been making films for over 15 years, I grew up in Wirksworth and I started filming my friends and I exploring the landscape and quarries, and building jumps and riding bikes. This led me to pursue a career in filmmaking. I work with artists and creators in the local area as well as further afield and am now part of Haarlem Artspace. 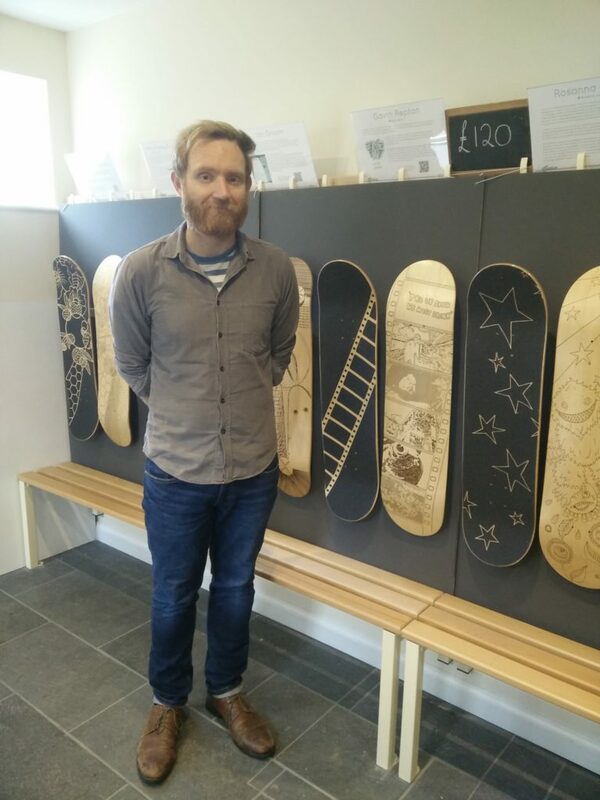 Some of my work will also be showing as part of the Hill exhibition at the Town Hall. 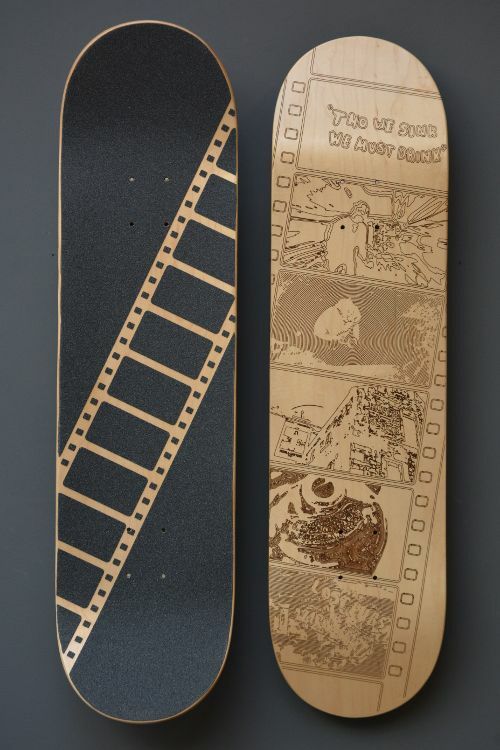 My skateboard design is made up of screen grabs from The Lost Pubs of Wirksworth, a documentary a made a few years ago exploring the history of the town through it’s pubs and mining heritage. I chose shots that I thought replected parts of the film that people would recognise as well as ones that would convert well into artwork.